Part of the borough of Newham, East Ham is a suburban district of London. Thanks to its close proximity to the capital, there’s a strong property market in the area. At My Home Move Conveyancing we’ve been developing our knowledge of local markets like this since 2001, allowing us to bring our clients in East Ham a specialist, fixed fee conveyancing service that’s like no other. You’ll need to instruct property lawyers to complete the legal work when you buy or sell property in East Ham. 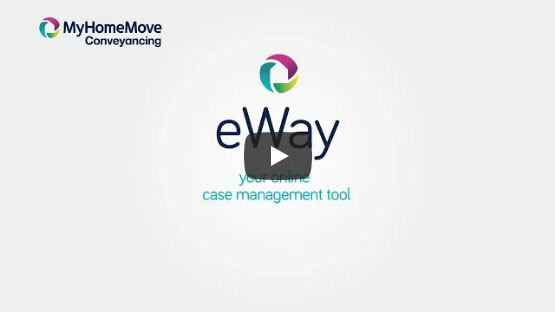 By choosing My Home Move Conveyancing to be your East Ham conveyancers, you’ll receive the full benefit of our award winning customer service, which we combine with an innovative use of technology to deliver more completions per year than anyone else. Our conveyancing service is fixed fee, meaning there are no hidden costs to worry about, and you can plan exactly how much you’ll be paying from the outset. Moreover, if you don’t end up moving for some reason, you won’t have to pay us anything in legal fees. We assign all of our clients a dedicated conveyancer, who’ll act on your behalf from start to finish. You’ll be provided with regular updates on the progress of your case, a consistent point of contact, and a high level of expertise. At My Home Move Conveyancing we supply our professional conveyancing services in East Ham to homebuyers across the local area, from those looking for something close Central Park, to by the tube station for easy access to London and in neighbouring Upton. The average house price in Newham is £366,485, while the overall average sale price in East Ham over the past year was lower than this at £321,512. Terraced properties were most popular in terms of sales, going for an average of £366,811. Flats went for £221,534, while semis fetched £322,667. A settlement in the East Ham area was first recorded as Hamme in an Anglo-Saxon charter of 958, while East Ham’s railway station opened in 1859 and there was increased urbanisation from 1890 onwards. The area’s known for its Victorian and Edwardian terraced town houses along tree-lined roads, as well as its range of green spaces including Central Park and Plashet Park where you’ll find playgrounds and cafes. East Ham has a great location close to the City of London, and is just eight miles from Charing Cross. There are fabulous transport links for getting into London, with a tube station on the District line and Hammersmith and City line. When you want to go on holiday, London City Airport is just to the south on the northern bank of the River Thames. There are plenty of schools in the local area for families with children to consider, including Lathom Junior School, Hartley Primary and Central Park Primary for younger children. Langdon School, Plashet School and Brampton Manor Academy are among the options at secondary level, while London’s selection of universities are on the doorstep for higher education. All properties in East Ham will fall within one of the following council tax bands.